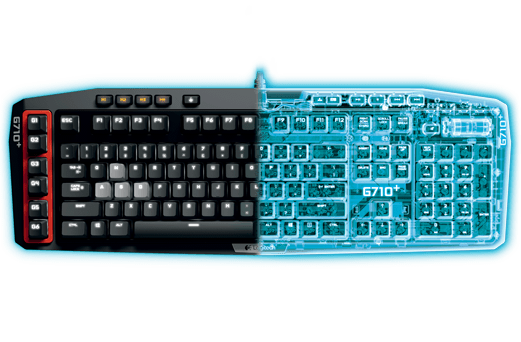 The mechanical keys on G710+ deliver gaming-grade responsiveness and tactile feedback superior to rubber-domed keys. With an actuation force and distance of 45 g and 4 mm, respectively, the keys are optimized for rapid command entry. Plus, the keys have been tested for durability to a 50 million cycle life. All 110 keys of the G710+ are calibrated to prevent anti-ghosting. During the heat of battle, you need to simultaneously run, strafe, select a weapon and open a door. Press and hold multiple keys simultaneously without fear of missing or unexpected keypresses.